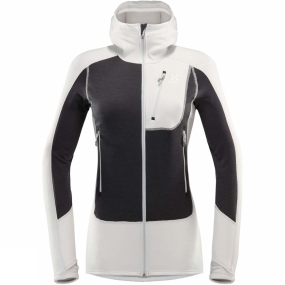 The Womens Serac Hoodie from Haglof is a blend of Powerstretch Pro fabrics which provide the warmth and toughness you need while out in rougher weather. The hood is snug and will fit under your climbing helmet with ease. There's plenty of pocket space, and thumb holes stop the sleeves from riding up when you're at your most active.